What's coin on guys? Just some patterns, trend lines, critical levels, and moving averages, for future reference. really SCARY FRACTAL spotted on LTC! What's coin on guys? I'll just drop this fractal here for you to follow. If this fractal plays out, drop could be huge. Don't mind the deformation from copied fractal. This happened because of the log scale. If you are long here, be carefull and set your stops very close. 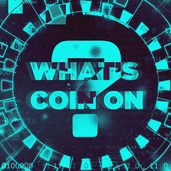 What's coin on guys? While everyone these days are talking about support from 200 weekly MA, nobody is talking about trading below 200 weekly EMA. What's coin on guys? More and more indicators are showing the bounce is very possible here in this levels, just above 200 MA. You can find divergences on a lot of time frames, including weekly. Not sure if bounce will happen, but with majority of people convinced we are going down, possibility is greater for me that BTC is about to squeze al short possitions opened. What's coin on guys? I'll just leave this fractal here for you. This is inverted BTC from 2015. Similarities? BTC FRACTAL CONTINUES... Hope you profited from previous trade! NOT THE SMARTEST PLACE TO BUY NEO! What's coin on guys? I'll just leave this chart here for you. As you can see there is a lot of significant resistance in this area. It will need a lot of volume for ETH to break this point. I personally think correction is on the way, bur anything can happen if volume kicks in... Anyway this is NOT a smart place to BUY! Whats coin on guys? Ill just leave this fractal here. Already failing at the end, but it could be a bear trap. This hidden bearish divergence is valid only if we don't make a higher high on a price (2.09 is a resistance). If we stay below 2.09 down go EOS We can also see a regular bearish divergence on a lower time frames. What's coin on guys? Long time no see I dont know if this fractal is already failing, but I wanted to share this idea with you. Troughout the history of my fractal analisys, fractals on BTC were quite precise. I think BTC will bounce short term around this area, and after that we could possibly see continuation of a downtrend. Do you remember this fractal? Lets see if it will repeat itself! Whats coin on guys? You can see in my previous analysis how well this fractal follow the same mass psychology when we reach pottential "bottom" It looks 3 waveish and usually end up with huge fall after double top. Lets see how it will playout this time... I gave you a possible scenario in my previous analysis, this is just a followtrough on a higher resolution.